Settlements are movements of the supports of a structure. It can occur if the supports/foundations are not fully compacted, and soil settles around it. To model settlements, click into the "Supports" menu, and then click the "Settlements" button on the top right. 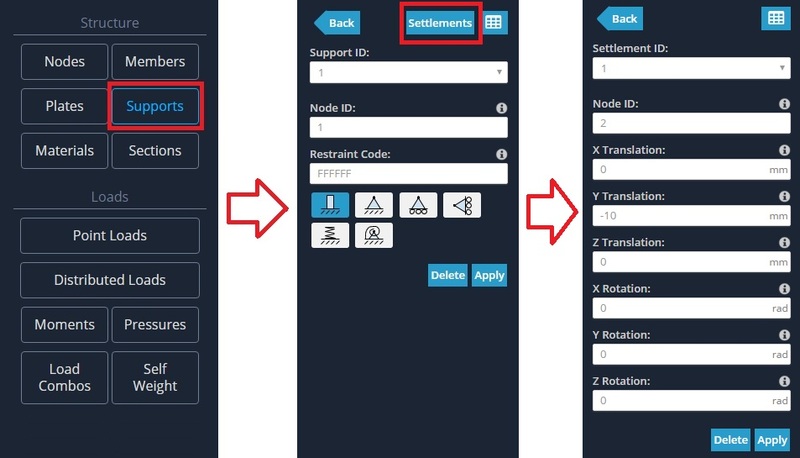 Settlements can only be applied to nodes that have a support specified at that node. The amount of translation or rotation of the settlement can be specified in the form.